Rotorworld | Exciting new products from Parrot! Exciting new products from Parrot! 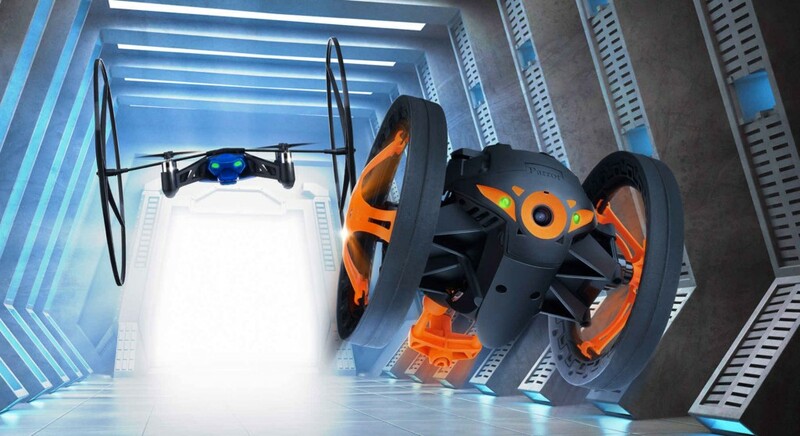 See the sensational new Parrot MiniDrone & Jumping Sumo for 2014. Price and availability from Flying Toys, to be announced. 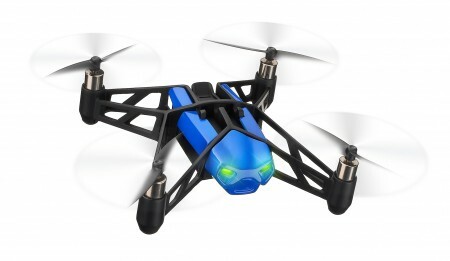 Parrot MiniDrone: Fly and roll from floor to ceiling! Connected to a Smartphone or Tablet with Bluetooth Smart, the Parrot MiniDrone offers fantastic flight stability. Thanks to its numerous sensors and autopilot capabilities, the Parrot MiniDrone is a very easy to fly quadricopter. Its ultra compact and lightweight design, plus four powerful engines, allow the Parrot MiniDrone to fly at high speeds and perform precision acrobatics. Attach two ultra-light wheels to the MiniDrone, and it can climb along a wall, or move across the ceiling, before taking off again into mid-air! Parrot Jumping Sumo: The Insectoid Toy! 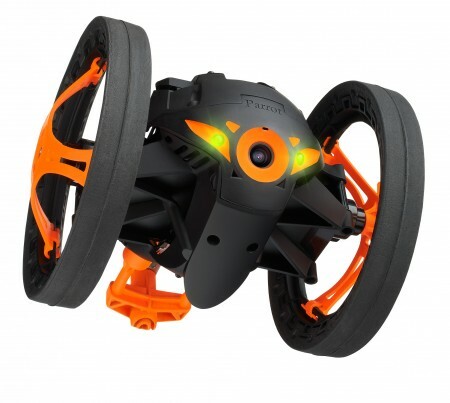 Piloted via Wi-Fi 2.4 or 5GHz with a Smartphone or Tablet, the Parrot Jumping Sumo is a new generation of connected robot. Half robot, half insect, it is equipped with a gyroscope and an accelerometer, which provides fool-proof agility and intuitive control. It can roll, turn 90 degrees with speed and astonishing precision and also perform spectacular 80cm jumps, always landing on its wheels. With an embedded camera, its acrobatic and fast-paced movements are streamed directly onto the Smartphone screen. Flying Toys will be launching their latest new products to the trade at the 2014 Spring Fair on Stand 3A03, at the Birmingham National Exhibition Centre from 2nd-6th February 2014.